The Fed put did it again. Thanks to the Fed’s easy stance on rate tightening and backing-off from withdrawing liquidity (i.e. quantitative tightening), markets world over, have been put in a good place (at least for now) after dislocating badly in December. That said, from all accounts the recovery lacks conviction with multiple threats looming in the background including a “patient” Fed that remains “data dependent,” where the “data” remains to be seen. In this milieu of uncertainty and volatility, global investment houses are scrambling to find opportunities that are less correlated, less volatile and at fair valuations. Chinese bonds have been discovered by many large brand-name houses as one of the few areas that check all these boxes so much so that many are touting it as a potential “anchor allocation”, “ballast of choice in turbulent times”, etc. To add, “150-200 basis points yield pick up over developed market bonds” also makes a good tagline. But navigating the world’s third largest (after US and Japan) bond market is a tall order even if (per IMF Working Paper China’s Bond Markets and Global Financial Markets dated December 2018) global bond managers stick to mostly (~95%) government and policy bonds (e.g. Export and Import Bank of China, Agriculture Development Bank of China and China Development Bank) that comprise almost two-thirds of the $12 trillion onshore bond market. Unlike trading other local-currency debt markets e.g. Turkey, Peru, Czech, South Africa, Indonesia, Mexico, etc. where internal debt is to a great extent (~20-40% per IFC) held by foreign buyers, China’s local currency bonds -until recently largely inaccessible to global buyers – is mostly owned by local money in China with overseas investors owning ~ 3 % of domestic bonds, according to the China Central Depository & Clearing Co. While Fed actions and by extension the US dollar influence most other local debt markets, local China bonds are less correlated to global flows/movements, but more beholden to the State’s call and consequently, the “China bid” from investors including the country’s major banks, insurance firms and large asset managers. Furthermore, most bond purchases in China are financed with borrowed money. Thus, trading activity in the world’s third-largest bond market closely tracks volumes in China’s market for repos—or repurchase agreements—where banks, investors and financial firms pledge securities to borrow cash for short periods, often overnight. According to the IMF’s October 2018 Global Financial Stability Report, trading volumes of Chinese government and corporate bonds have been far more volatile than in the U.S. Over the past few years, Chinese bond trading slumped whenever the cost of short-term borrowing rose. Activity surged when interest rates fell leading bond-trading volumes to fluctuate by as much as 200% in a year. “This procyclical link between bond trading and financial conditions represents a significant vulnerability in China’s financial markets,” according to the IMF report. The concern highlighted by the report is that bond-market liquidity could rapidly dry up if interest rates shift quickly, making it difficult for financial institutions to sell assets or roll over their repo loans to fund themselves. A vicious circle could result if higher demand for short-term borrowing pushes rates higher and further reduces liquidity. Besides trading volatility, issuer risk is also high. In China, corporations and municipalities have borrowed more eagerly than the central government, with many companies wholly or partially owned by the State. State-run firms constitute 80% of bond issuers rated AAA or above (by local rating agencies) of all corporate bonds sold in China since 2016. But SOEs, despite State backing are not without problems, as we saw with a slew of defaults not too long ago in 2016. Since then, China has only stemmed the bleeding at its debt-laden, inefficient State sector with large-scale transfusions from private enterprise. In the three years before Xi Jinping became president in 2013, private firms received roughly half of all bank loans and State firms got just a third. Today, more than 70% flows to State firms, according to the Peterson Institute for International Economics. The result has been a fall in SOEs’ interest burden and a rise in private firms’ borrowing costs. In late 2016, industrial SOEs’ profits amounted to barely three times their interest payments, while private industrial firms made nine times what they paid in interest. Now industrial sector SOEs make five times interest payments due, while private firms make seven. As the Economist points out private firms’ significance cannot be undermined as depicted by the “56789” formula that local officials use: private sector accounts for 50% of tax revenues, 60% of GDP, 70% of innovation, 80% of jobs and 90% of companies. Notwithstanding its importance, the bias toward SOEs has allowed them to superficially improve their health partly at the expense of more efficient private companies. If this persists, it will mean structurally lower income growth, and precipitate a problem if private firms don’t do well enough to keep subsidizing their State cousins. Therefore, from an investing standpoint, buying SOE bonds purely on the pretext of the State’s safety-net is not a fundamentally sound strategy. The above alone present a host of challenges for global fund managers without a local onshore presence and a deep understanding of the State. To deploy big pools of assets into a new market simply because access through Bond Connect has improved, or progress toward broader inclusion in global bond indicies suggests new inflows of ~ $3 trillion into Chinese bonds based on higher allocations by sovereign wealth funds, central banks and institutional investors, alone, are not very convincing bets. Recognizing these challenges, some have proactively partnered up with well-resourced and experienced local partners (e.g. Ping An Asset Management) to minimize risks. It remains to be seen how these partnerships enhance their confidence beyond onshore sovereign/quasi sovereign bonds to trading non-SOE corporate sector bonds, onshore and offshore. Non-SOE private borrowers both onshore and offshore take their cues for issuance from liquidity conditions onshore. Domestic banks suffer from dependence for funding on short-term interbank borrowing which is intermittently replaced by pricier, but more stable funding from China’s central bank. When PBOC wants to improve liquidity conditions to fight slowing growth (as currently), it announces big reserve cuts, allowing banks to offset the higher funding costs encouraging them to lend more. But banks are leery of lending to corporates other than SOEs, compelling non-SOE corporate borrowers to turn to the onshore bond market backed by wealth management products (WMPs are classified under shadow-banking). But with China’s recent crackdown of WMPs to reduce leverage and the lurking dangers of poor underwriting, private borrowers move to float shorter duration bonds in offshore markets (HK) which draws yield hungry investors. Therefore, with easy liquidity conditions onshore, the favored SOEs get easier banking capital reducing onshore issuance from them while the deprived private companies who accessed onshore bond markets previously, now migrate offshore. However, if liquidity conditions are tightened onshore it might also drive many SOEs offshore to meet their capital needs. But China also closely monitors its forex reserves and any threat of a flight of capital which could warrant clamping down on offshore debt as witnessed in the recent past. Property developers are among those who find it hard to raise money domestically and thus often turn to offshore markets. Over the past couple years many lowly rated issuers from China in the single B category with weak financial profiles have tapped the offshore bond market. Within Asia, 70% of corporate issuance (G3/Hard Currency) is China alone, where the ranks of high yield and unrated bonds climbed to 55% of total sales in 2018, the most since 2011. The uptick in lower-quality issuance could potentially see more governance issues coming to the fore. Some local managers (that ÊMA researches) have shared a few examples: in one instance, a company loaned money to a company related to its chairman with no written agreement; in another instance there were several related-party deals, including a transfer of shares in some subsidiaries to a listed company for free; in yet another instance, a company provided debt guarantees to an unrelated entity. These kinds of practices definitely call for a stricter due diligence of the management driving the fundamentals of a company, which is probably best left to local managers with strong networks on the ground. This assumes greater significance given the recent increase in both the number and value of defaults in China’s corporate bond market, roughly a fifth offshore (G3) and the remaining onshore, embedded within China’s overall $12 trillion domestic bond market. If worries about these weaker private issuers polarize the bond markets, by encouraging more local flows into bigger, mostly state-run firms for lower, but likely more stable returns, it presents yet another dynamic (and tighter spreads) for global investors. It is well-recognized that liquidity infusion by the global central banks over the last decade plummeted interest rates to their nadir, allowing anyone and everyone with an allure of yield attract risk capital. From a hydroelectric dam in Tajikistan (ranked among the world’s most corrupt countries by Transparency International. ), to the government of Portugal and a cruise ship operator, all issued debt at unusually low interest rates only to find their way into investment portfolios of many a household name fund manager thronged by unsuspecting investors (retail and institutional) craving for yield. Sure enough, this chase for yield resulting in an over-leveraged corporate sector (45% of US GDP, the highest since 2008) is now a specter of the subprime days for some market pundits whose chorus around this “ticking time bomb” for the next financial crisis, is growing louder by the day. While the outlook is one for a low yield environment to continue into the foreseeable future, LPs would hopefully be more cautious this time around before venturing into unchartered territory where the State’s call matters more than the Fed’s put and where there is more to it than meets the eye. 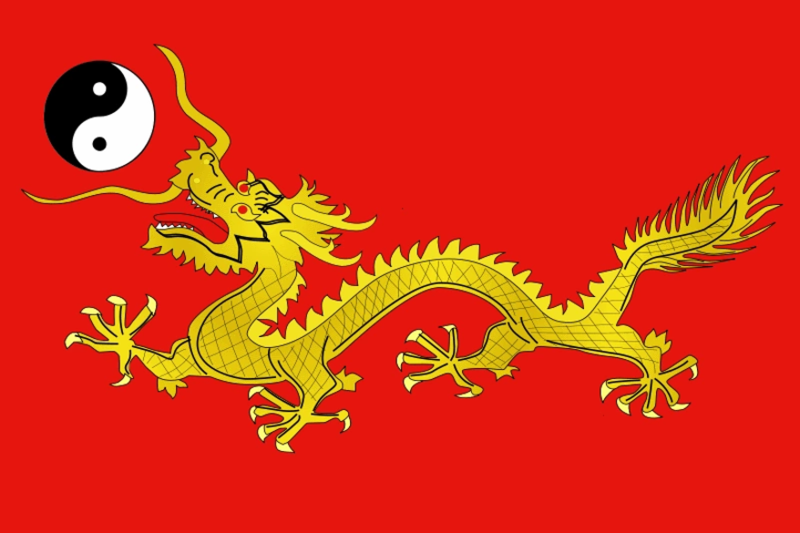 It’s probably more prudent to delegate bond allocations into a large complex market such as China’s, to a local manager with an ear to the ground to listen to the State’s call and navigate nimbly (both long and short) and timely across the entire spectrum of Chinese bonds – sovereign, quasi sovereigns, and corporations-onshore and offshore. As newer and complex markets such as China’s open further for overseas investors, ÊMA remains intellectually curious to learn about the execution capabilities of domestic managers positioned to tap into these markets equipped with local knowledge, expertise and networks. ÊMA continues to conduct independent investment audit/due diligence on various such China/HK- based bond managers who can react deftly and timely to the State’s call, to the benefit of LPs’ portfolios. Stay tuned.